Light, functional, easy to use with a place to keep your drink cool. Tracking veered offline more often than I would like and can’t be fixed. 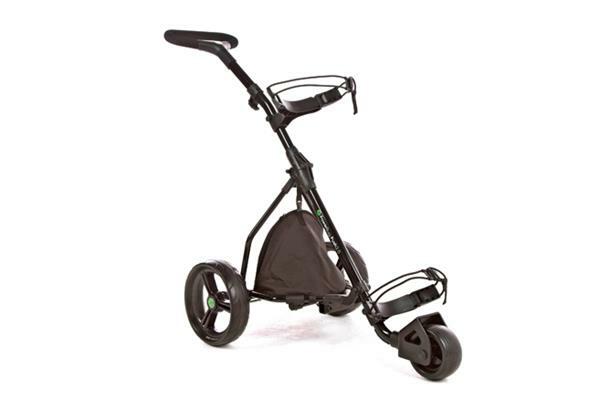 Features the same frame construction as the electric version, but with the motor and gearbox replaced with an easy-roll free moving axle and insulated zip-up bag. Also has a foot brake and comes in black or white. 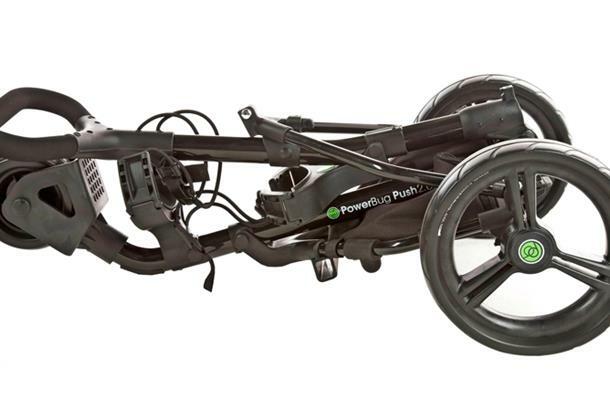 As reviewed in our Trolley Test 2014, tested by Kevin Brown (Handicap 18): If you’re after a push trolley on a budget, you’ll do well to find one that fits the bill better than the Powerbug Push 2.0. It’s basic yes, the price reflects that, but it’s got everything you need. It’s extremely lightweight, making lifting it in and out of the car a breeze and strapping in your bag is just as seamless. The handle is user friendly in shape, size and soft to touch. It seemed sturdy enough on hills with a standbag and the coolbox is an added bonus. The brake worked as expected, a little stiff to release with the top of your shoe. Unfortunately it started to veer to the right and the front wheel tracking is not adjustable – a little inconvenient.